As the fifth largest city in the United States, more than 22 million visitors flock to metropolitan Phoenix every year. With a bustling downtown quadrant comprised of around 100 square blocks, this section of town is teeming with fun and exciting things to do—keeping tourists duly entertained and engaged. From professional sports, live music and fine dining venues to festivals, museums, and an endless stream of events at the 24-acre convention center, downtown Phoenix is a bustling hub with an appeal all its own for leisure and business travelers, alike. 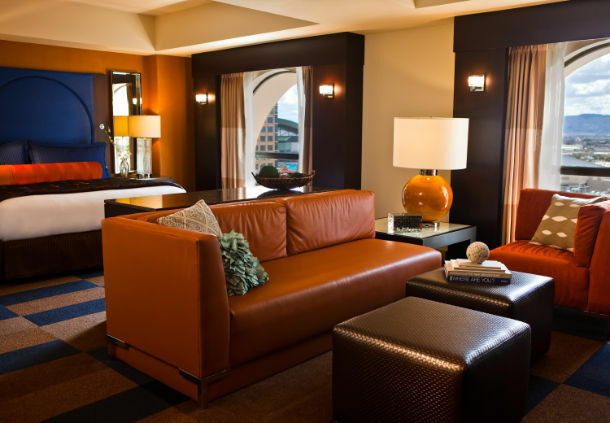 No matter your reason for visiting metro Phoenix, one salient place to stay is the Renaissance Phoenix Downtown Hotel. Ensconced in the heart of the city, this enduring property is only four miles from the Phoenix Sky Harbor International Airport and within walking distance to the many area attractions, including Talking Stick Resort Arena, Chase Field and the Heard Museum. It’s also convenient to the light rail, which gives guests convenient, quick and reliable access to the rest of the city. Since 1896, a hotel has been located on the land where The Renaissance currently resides. In 1910, when the hotel was called the First Hotel Adams, it burned in a fire. It was rebuilt and brought the first fire-proof hotel to Arizona. That hotel stayed in place until the 1970s, when it was imploded so that the current hotel could be established. Since its storied inception, the Renaissance Phoenix Downtown Hotel has hosted some pretty famous guests over the years like George Burns, Debbie Reynolds, Chris Pratt and Brittany Spears. Today’s iteration of the hotel boasts a recently completed $13 million renovation to its expansive lobby and reception area as well as its on-site eatery, Dust Cutter. 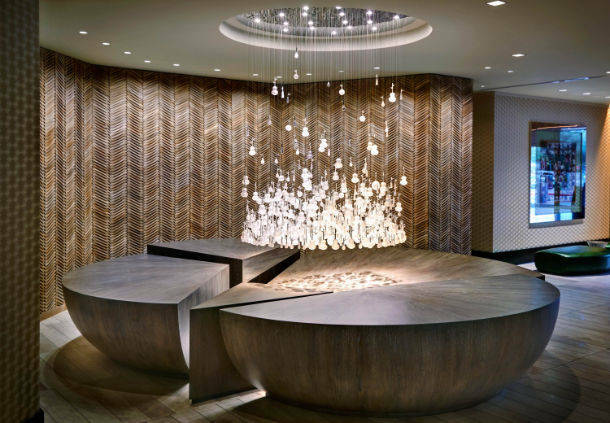 For its part, the lobby is now brimming with artful and visually captivating elements. Spectacular framed works adorn the walls, while sculptures, modern furnishings and light fixtures, eye-catching area rugs, and thought-provoking décor are arranged in various vignette-style seating areas exuding personality with a purpose. The lobby-adjacent eatery, Dust Cutter, is the property’s primary source of sustenance. This sophisticated saloon-like locale is quite a draw. The moody Edison bulb-lit space is laden with wood, iron, glass and fire—from furnishings to interior décor elements—that all convene to create a cozy urban cowboy atmosphere. 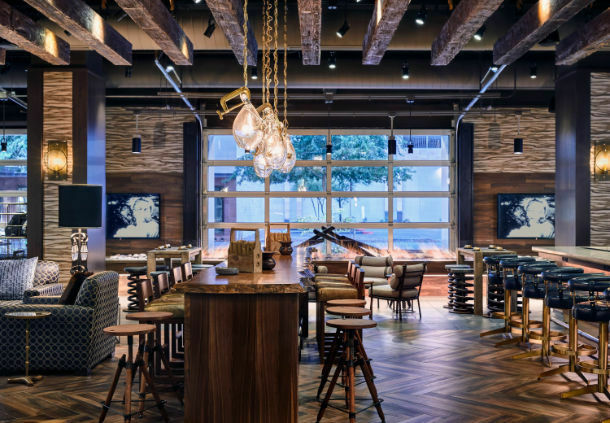 This full service bar and restaurant is clearly a key communal space for the hotel as guests mix and mingle in droves amid fabulous fixin’s from the kitchen and the expansive bar. Also in its plight for distinction, in addition to Dust Cutter the hotel features Melinda’s Alley, a semi-secret speakeasy. This underground bar, which exudes prohibition era ambiance, is open only on Friday and Saturday nights. It’s consistently named among the top 10 Dark Bars in Phoenix and definitely worth stopping in for a cocktail. 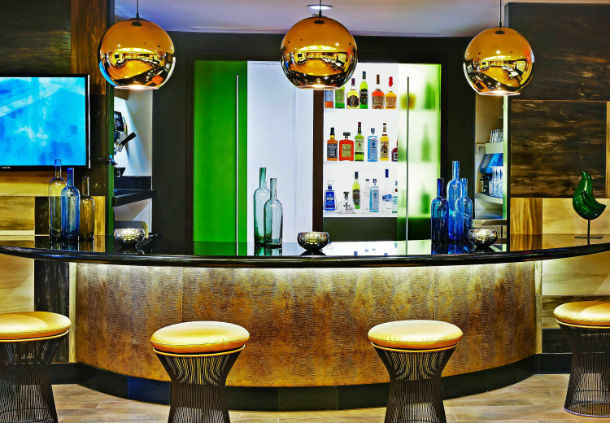 The hotel also has a club lounge on the 19th floor called Elevate that’s exclusively available to those staying at the property. According to Erickson, “Elevate ranks among the best lounges in all of Marriott in food quality and guest experience. We focus on locally inspired ingredients to pull through the flavors of the Sonoran climate and region.” For example, since mesquite trees are common in the area they infuse this flavor into things such as waffles, and hatch chilies are made into a syrup and added to mixed drinks. The Renaissance Phoenix has some other unique features that make it a top pick for visitors, like a one-of-a-kind art exhibit in the lower level of the hotel. The exhibit is called “26 Blocks” and is comprised of photos of 26 downtown Phoenix blocks taken by local photographers (26 of them) paired with local writers (26 more). The result is an art exhibit unlike anything you’ve ever seen before, but very much metro Phoenix in flavor. 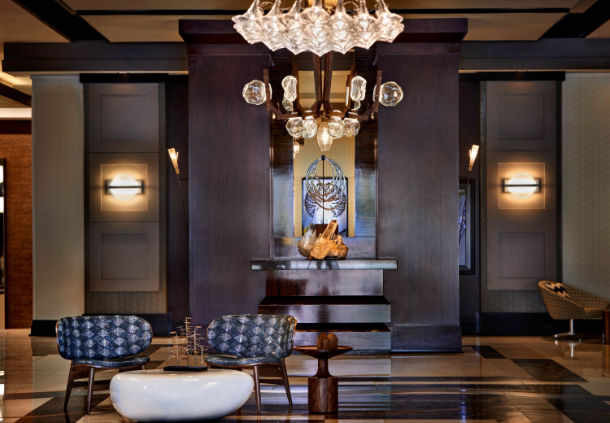 Even though the hotel recently finished the $13 million renovation, they continue to update the hotel to stay fresh and modern while still keeping the charm of yesteryear. The rooms as they are offer a myriad of creature comforts like ergonomic workstations and deluxe bath products. Each also proffers a view of downtown Phoenix. “We are also renovating our 24 corner suites; we have new carpet for all of our meeting spaces on the way, and we just decided to revamp all of our 500-plus TV’s in the hotel, also adding an entertainment platform that allows guests to watch programs from their own Netflix account along with other web based services,” said Erickson. I also appreciate that guests can keep up their exercise routines at the hotel’s state-of-the-art fitness center and heated rooftop pool. The property also has 50,000 square feet of flexible event space called Skyline, which is the area’s largest rooftop terrace. It’s a great option for weddings and social gatherings and certainly for business and corporate events. I’m told that as many as 40 different managers are tasked with thinking outside-the-box, encouraged to brainstorm ways to keep The Renaissance at the top of its game. For their part, the artful and enticing communal spaces and decidedly comfortable accommodations are both an effective means toward this end. PreviousInn by the Sea debuts Impossible® Burgers & the future of food!